Prettiest Dog - 0 to 25 lbs. Prettiest Dog - 26 to 50 lbs. All 1st Place Winners from above categories will be entered in the Best in Show Contest. 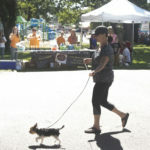 LIABILITY RELEASE: By signing below, I understand the Blaine Festival and Advanced Veterinary Care are not responsible for any actions that may risk harm or injury due to participation in the "Not So" Ugly Dog Contest. I release both organizations named above from all liability, costs and claims which might arise from participation in the "Not So" Ugly Dog Contest. If the participant is a minor, I agree that the minor has my consent to participate in the "Not So" Ugly Dog Contest. I further provide my consent for the organizations named above to seek emergency treatment for the minor if necessary. I agree to accept financial responsibility for the costs related to this emergency treatment. I acknowledge that photos may be taken during the contest and agree to their use in promoting the "Not So" Ugly Dog Contest and the Blaine Festival. 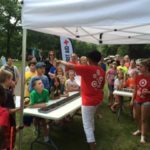 LIABILITY RELEASE: By signing below, I understand the Blaine Festival and Target of Blaine are not responsible for any actions that may risk harm or injury due to participation in the Oreo Stacking Contest. I release both organizations named above from all liability, costs and claims which might arise from participation in the Oreo Stacking Contest. If the participant is a minor, I agree that the minor has my consent to participate in the Oreo Stacking Contest. I further provide my consent for the organizations named above to seek emergency treatment for the minor if necessary. I agree to accept financial responsibility for the costs related to this emergency treatment. I acknowledge that photos may be taken during the contest and agree to their use in promoting the Oreo Stacking Contest and the Blaine Festival. 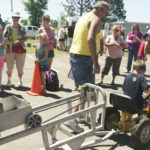 LIABILITY RELEASE: By signing below, I understand the Blaine Festival and Kid Power Pedal Tractor Pulls are not responsible for any actions that may risk harm or injury due to participation in the Kid Power Pedal Tractor Pulls. I release both organizations named above from all liability, costs and claims which might arise from participation in the Kid Power Pedal Tractor Pulls. If the participant is a minor, I agree that the minor has my consent to participate in the Kid Power Pedal Tractor Pull. I further provide my consent for the organizations named above to seek emergency treatment for the minor if necessary. I agree to accept financial responsibility for the costs related to this emergency treatment. I acknowledge that photos may be taken during the contest and agree to their use in promoting the Kid Power Pedal Tractor Pulls and the Blaine Festival.